It occurred to me this weekend, as I was reading a book about Samuel Beckett, that modern theater was born 60 years ago this winter, when "Waiting for Godot" premiered in Paris. It doesn't say much for the English-speaking world that it took two and a half years to get to England and three to reach America, where its initial production (in Coconut Grove, Fla.) bombed. Beckett refused to explain the play, though he did say Godot wasn't God. On the other hand, he insisted the word be pronounced GOD-oh, not God-OH. And the Irish have a habit of putting an "oh" sound at the end of a familiar word, such as "boyo" for "boy." He wrote the play in French just a few years after World War II had ended, and his view -- that there was no meaning to be found in life, but that we had to struggle forward whether we found one or not -- came as a shock to people who wanted to believe that the defeat of the Nazis meant God was in is heaven. "They give birth astride of a grave," says the harsh Pozzo, after he goes blind. "The light gleams an instant, then it's night once more." One of the tramps sadly acknowledges that "We are all born mad. Some remain so." These were not sentiments Americans and Brits wanted to hear after making the world safe for democracy. Actors love to play these parts: Robin Williams and Steve Martin starred as the tramps in a 1988 Lincoln Center revival, while Ian McKellen and Patrick Stewart took those roles in the West End of London in 2009. That same year, Nathan Lane and Bill Irwin starred in a Broadway revival; poor old "Godot" was finally nominated for a Tony as best revival but lost to "The Norman Conquests." I own a recording of the play but have never seen it. If it has been performed in Charlotte since I came back on the theater beat five years ago, I haven't heard about it. (Theatre Charlotte did a version I didn't see in winter 2007.) 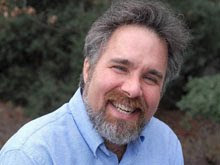 Producer Don Cook wanted to do an all-female version recently, but the Beckett estate is a stickler for following his stage directions and nixed the idea. We've seen Beckett's influence many times over the intervening decades, through works as diverse as Tom Stoppard's play "Rosencrantz and Guildenstern are Dead" and Kevin Smith's movie "Clerks." But I'm still waiting for "Godot" on my theatrical watch. I'm a day late in my appreciation of Al Pacino -- he turned 73 yesterday -- but not a dollar short: I think he's still potentially the most watchable actor of his generation and among the most watchable of any age. The important word is "potentially," because he's willing to appear in crap and classics with equal zest: He played himself in Adam Sandler's excruciating "Jack and Jill" two years ago, and he's now planning to take the title role of "King Lear." In fact, he's the only American now regularly exploring Shakespearean parts onscreen: He made the thoughtful documentary "Looking for Richard," about playing Richard III, and he has starred in "The Merchant of Venice" as Shylock. A reader e-mailed me this week to propose an Al Pacino Day. He laid out all the evidence for one at this site: http://cantmiss.tv/al-pacino/#.UXrB1LUqb0R, and it comes with a sense of humor. He recommends keeping your volume control close at hand as you cue up classic Pacino films, "because you're going to hear many raspy whispers, followed immediately by YELLING." What impresses me most about Pacino is his versatility, willingness to experiment and challenge himself. (Yes, even in "Jack and Jill.") Since becoming a movie star in the two "Godfather" films, he has appeared on Broadway in nine shows, including the "Glengarry Glen Ross" revival that ended this year. What other American actor comes close to that record? He'll take roles big or small, sympathetic or unsympathetic, in big-budget fluff ("Ocean's Thirteen") or gritty little indies ("The Son of No One"). He seems to have a sense of humor about himself and speaks about his career as though he's just a working actor, rather than the creator of the iconic Michael Corleone and Tony Montana and re-creator of Roy Cohn (for the TV version of "Angels in America"). In that sense, he's more European than American: He continually reinvents himself and doesn't have to be the star or the best-paid person in a production. And though he sometimes falls back on old tricks -- who wouldn't repeat himself after 50 years in the business? -- a good script challenges him to dig deeper, as the HBO movie "Phil Spector" shows. May he act for many years to come. All hail the Back Alley Film Series, which has stepped in to bring the new Terrence Malick movie to Charlotte for a one-week run -- maybe longer, if it does well. 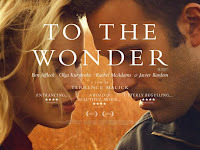 "To the Wonder" opens at Carolinas Crownpoint Cinemas as of Friday, April 26. BAFS is on a roll just now. Brandon Cronenberg's "Antiviral," about an employee at a clinic that sells live viruses from sick celebrities to obsessed fans, plays this Thursday. Shane Carruth's "Upstream Color," about a man and a woman entangled with an ageless organism, runs May 2 and 5. Bruno Dumont's "Hors Satan," about a strange poacher who lives at the side of a marsh where the devil walks, gets to Crownpoint May 30. You may wonder why a film by Malick, a writer-director with multiple Oscar nominations, can't get a higher-profile release in a city our size. The answer: Regal and AMC control almost all the screens here, and those chains refuse to play releases from distributors who simultaneously put movies in theaters and on DVD or VOD. Magnolia, which has distributed "Wonder," is one of those companies. So an independent theater (of which we have just three in Mecklenburg County) had to pick it up. BAFS is actually one-half of Charlotte Film Society, which shows movies once a month at Theatre Charlotte through its Saturday Night Cine Club. If you don't know these two series, you should: They're a terrific bargain at $5 per ticket, once you pay the membership fee of $10. Non-members can also buy regular-priced tickets to any screening, if seats remain available. Get details here: http://www.charlottefilmsociety.com. 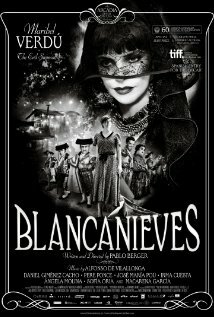 Spanish writer-director Pablo Berger has proven you can tell an intense, dramatic story without speaking a word (and by using even fewer title cards than "The Artist" did). He has updated the story of Snow White to Spain in the late 1920s, where the title character becomes a bullfighter like her famous father. He makes the story even Grimmer than the original: There are still a jealous stepmother and a poisoned apple and dwarves -- bullfighting dwarves -- but the ending is heartbreaking, and the overall tone is dark indeed. Cinematographer Kiko de la Rica has shot a sumptuous, deep-toned picture in black-and-white, which goes with the wordless approach. For the first few minutes, the lack of dialogue seems like a gimmick, though the musical score and sound effects fill in the background. Then the technique becomes not only natural but apt: This is a story that works best with grand gestures, close-ups of faces that are horridly angry or roaring with delight. There are many ways to tell a beautiful, funny, frightening or emotionally harrowing story, and sound and color are just two of the tools in the filmmaker's workshop. I'm glad some directors still remember that. Michael Bay's comedy "Pain & Gain" opens April 26 across America. So I wasn't surprised to get an invitation to an advance screening that would make a review possible. I was surprised, however, to see that it's being held in Raleigh. Now, the News & Observer in Raleigh no longer has a regular movie person; they're our sister paper in the McClatchy chain, and they run my reviews. So this picture was being screened in the market that has no daily newspaper critic and NOT screened in the market where the critic's review would serve both papers. But wait: Things get more idiotic. Entertainment editor Theoden Janes, who sits next to me, was getting a separate advance screening in Charlotte so he could interview star Ken Jeong, who comes from Greensboro and has a major role in "Pain & Gain." I asked if I could attend that screening, but it was open only to people who were going to do feature stories, not reviews -- even though it's the same film, frame for frame. Yet the logic escapes me. If the film's so bad you don't want reviews, why hold critics' screenings anywhere? If it's good enough to warrant reviews, why not screen in the largest market in the Carolinas? Well, that's what I get for expecting a studio decision to make sense. After writing about movies for 33 years, I should know better. And an update: Paramount decided to hold a Charlotte screening the afternoon after this blog was posted. Common sense prevails! The library's selling stuff again -- go crazy! Friends of the Library clustered yesterday afternoon at 5:55, forming a line 25 deep outside a once-empty store at 1330 Central Ave. It's always a good idea to be one of the FOTL, but especially so at the annual sale of donated books, CDs, DVDs and the like. You can shop before the general public, and you get free pastries, perhaps under the assumption that a sugar buzz will make people open their wallets wider. The public sale (sans pastries) started today and runs through April 20, in a space next to Family Dollar in the shopping strip that holds Bistro La Bon. (Get details at cmlibraryfriends.org.) Unlike last year's sale, where books were placed in separate rooms by category -- the most helpful way to do it -- all the books sit in one big rectangular space with signs hanging over tables; non-book items are in a separate room at the back of the main hall. The trick to this sale is deciding how badly you want something, because prices drop in increments every few days. (On the last day, you can stuff a bag with anything it'll hold for $5. Volunteers don't want to tote items back to storage.) The CDs I didn't buy for $5 last night may be more appealing when they're $2 -- if they're still around, of course. 1) You can't be impatient and find bargains. I had to look through every DVD to find one I truly wanted: a two-CD set that included Sean Connery's 1961 performance in a truncated Canadian Broadcasting Company "Macbeth." (He doesn't do justice to the role, but my curiosity was satisfied for $5. And Zoe Caldwell was a terrific Lady Macbeth.) Mysteries and classics and pop fiction and serious modern novels are all in a jumble at the book tables, so someone who reads mostly one genre really has to hunt. 2) As the Romans said, caveat emptor: Let the buyer beware. I bought a set of Beethoven symphonies for $10 but neglected to make sure all the discs were in there; when I got home, I had five of six CDs. (I'll listen to those, then donate them for next year's sale after writing "Disc 1 missing" on the box.) That's my own fault, really: I bought an empty CD case last year without looking and had to take it back, so I should have known better. You can't expect volunteers to check every CD they set out. 3) You have to go back more than once to see everything. Organizers put fresh items out during the sale, so you must return to canvass the whole collection. That suits me fine, as I like few things better than browsing through cheap tables full of cultural artifacts and finding unexpected gems. Say "hi" if I bump into you. A friend in the Charlotte Film Society alerted me that the Manor isn't showing movies in the last slot of the day any more on weekdays: The final screenings begin between 7 and 7:30 p.m. Sure enough, I happened to drive by the theater this morning, and the marquee confirmed it. In fact, all the Regal art houses in town -- Ballantyne and Park Terrace are the others -- have given up on that time slot. Well, I can understand that. It's common sense to cut hours if you don't have foot traffic, and people who like to see late shows can pick them up on weekends. But it saddens me, nonetheless, because older people are the ones least likely to want to get home at midnight from a movie -- and they're the ones who tend to populate art-houses these days. Where are the younger couples who want to see a movie at 9 and then grab beer or coffee and talk over what they've just seen? Where are the college students who can live on four hours of sleep a night and don't care when they watch what they want to watch? I would guess neither "Trance" nor "The Place Beyond the Pines," both of which open at the Manor Friday, is a masterpiece. (I've seen the first; the second wasn't screened locally for critics, which is never a good sign, and reviews have been mixed.) But both are more interesting than typical Hollywood fare about drunken spring breakers and wizards and rogue cops. Robert Johnson has his partisans, including Eric Clapton (who played four of his songs at Time-Warner Cable Arena Tuesday.) Howlin' Wolf roars and snarls like nobody's business. Lonnie Johnson laid down some coolly restrained tracks and was a gifted guitarist. Blind Willie Johnson and Blind Lemon Jefferson were powerful elder statesmen. Buddy Guy still tears up traditional blues with his searing guitar. But Waters embodied everything about the blues tradition: irresistible beats, a salacious and self-mocking sense of humor, pathos mixed with stubborn pride. He was born in rural Mississippi and died in Illinois at the age of 70, after making the journey to Chicago that so many poor African-Americans undertook in the last century. He wasn't the best harmonica player or guitarist or vocalist or songwriter of his mid-century era. He simply put the whole package together better than anyone and fronted a band that turned out immortal songs: "Rolling Stone" (for which the British band was named), "I Just Wanna Make Love to You," "Rollin' and Tumblin'," "You Shook Me" and many others. I once interviewed Hubert Sumlin, who was Wolf's guitarist for many years (and lost two front teeth to the big man's fist in a disagreement). Between long stints with Wolf, he played lead guitar for Waters for one year. When I asked why he left after so short a time, he said, "Wolf let me sound like myself. Muddy wanted me to sound just like him, and that's hard to do. I couldn't do it."